Love interior design? Whether you’re looking for inspiration for your kitchen remodel or trying to find like-minded mid-century furniture fans, these 12 fantastic interior design bloggers are a great place to start. Alice Collyer’s beautiful newly built and decorated extension. Got kids at home leaving watermarks on your beautiful wooden furniture? Take blogger Alice’s advice and rub coconut oil into the mark. Problem solved. Alice Collyer is a ‘Mother, maker, picture taker’ with a particular yen for Scandi-styles and retro looks. Although beautiful interiors and small children don’t always mesh, she’s learned a few hacks along the way that she’s always happy to share. 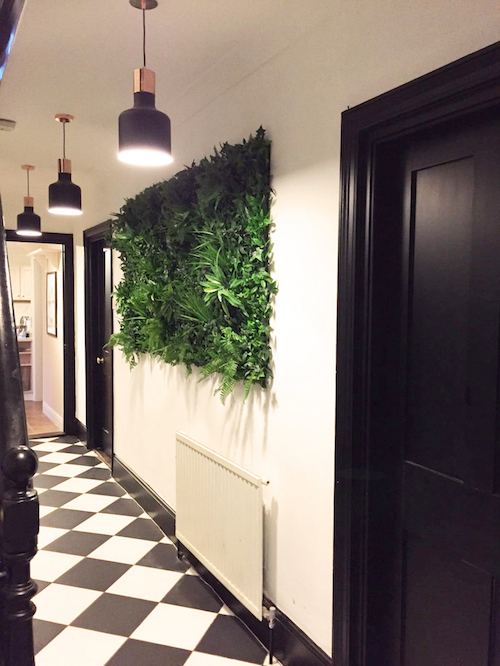 Cassie’s ‘not-so-living’ wall nails the botanicals trend, without the hassle. 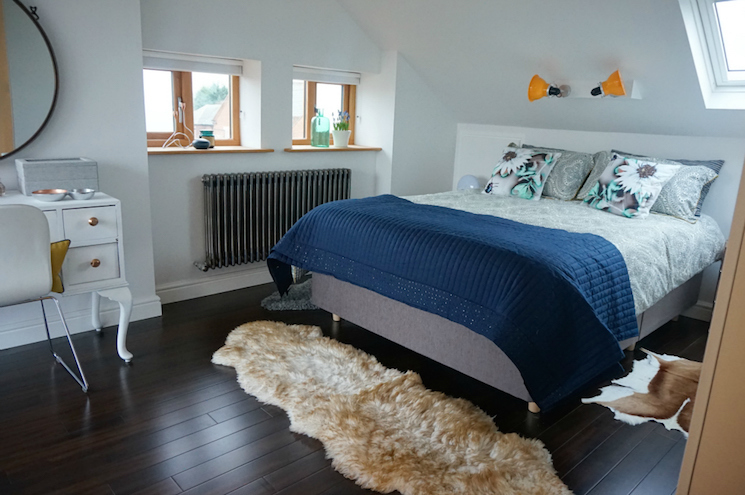 Cassie Durnell loves her bespoke black velvet sofa and Graham & Greene coffee table (her sitting room has a modern Art Deco vibe), but she’s a big Ikea fan too. ‘Ikea’s a wonderful place,’ she says. ‘It stays on top of trends and it’s cheap.’ She shows how a few simple tricks can turn everyday furniture into something extraordinary, such as spray-painting her dresser hardware gold to give it a bit of glamour. Cassie’s a big believer in making interior trends work for you. Can’t keep a plant alive long enough to enjoy the botanicals trend? Neither can she. Her solution is plant-print fabrics and a ‘not-so-living wall’. 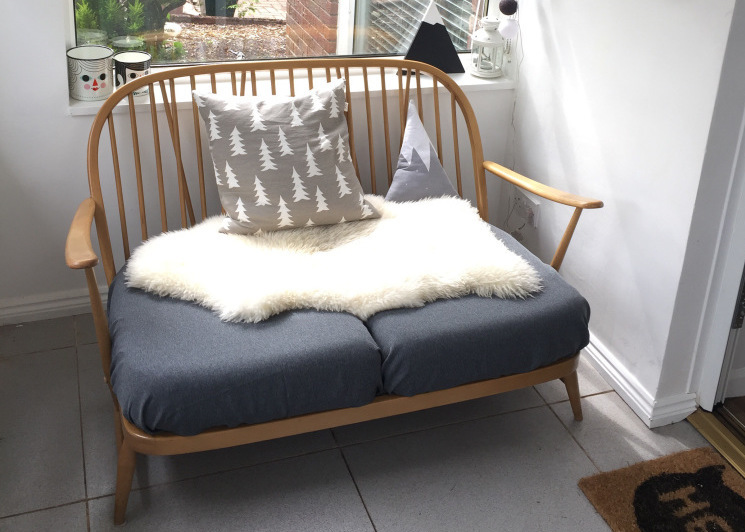 Laura Wilson’s first Ercol – which she lovingly reupholstered. Sometimes the stars align and the universe drops some Ercol into your lap. That’s kind of how it happened for Laura Wilson – plus some intense Gumtree searching and a 65 mile road trip. But it was worth it. By replacing the ‘grannyish’ cushions and draping it in sheepskin she gave this design classic a new lease of life. Laura knows how to turn limited funds into effortless style. She managed to remodel her entire bathroom for just £1500. And without the extra cash to replace her weathered front door, she grabbed a pot of paint and got to work. Greenery is Ruthie’s ultimate shortcut to design cohesion. Another blogger who can turn flea market finds into interiors gold is Ruthie at Design Soda. ‘My taste can be high end but my budget is definitely high street,’ she says. But that never stops her. Ruthie’s home in London is ‘dotted’ with vintage pieces and rescued fixtures from eBay. And she’s always generous with her ideas and sources. Want a stunning bohemian cocktail room like hers? Ruthie shares her tips. She’s also got plenty of tips and tricks for how to style your surfaces. Her staple design rule? Greenery. Bringing the outside is ‘often the missing touch’. Anna’s blog, hair and flat is all about ‘pink vibes’. Having trouble making a rented flat feel like your own? Anna Lysik is your woman. Anna’s tutorial on how to create a gallery wall (without endangering your deposit) is a must-read. And if you’re a homeowner, check out her ideas for increasing your house’s value. Simple, low-cost changes, like refreshing the space with new lampshades and a fresh coat of paint, can have a big impact. 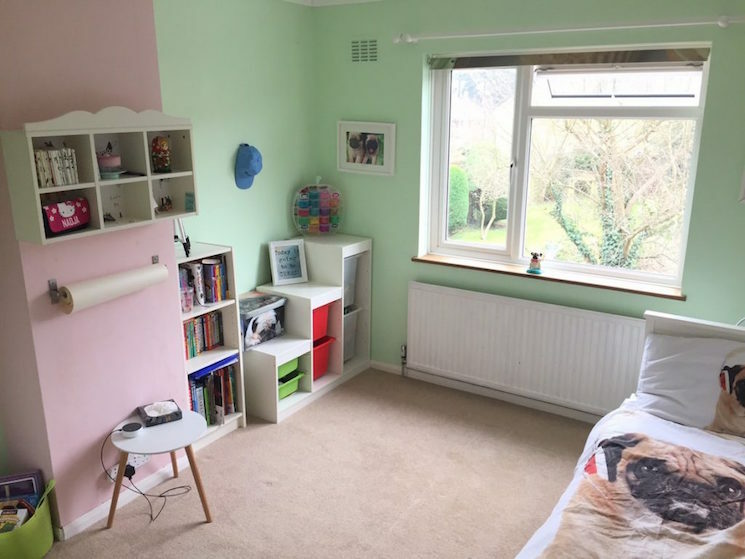 Lauretta helped her daughter go from toddler to tween with a room makeover. Let’s face it, we all wish our homes looked more like the ones in magazines. That’s certainly true for blogger Lauretta Wright of Home and Horizon who says she’s ‘mildly obsessed’ with interiors magazines. 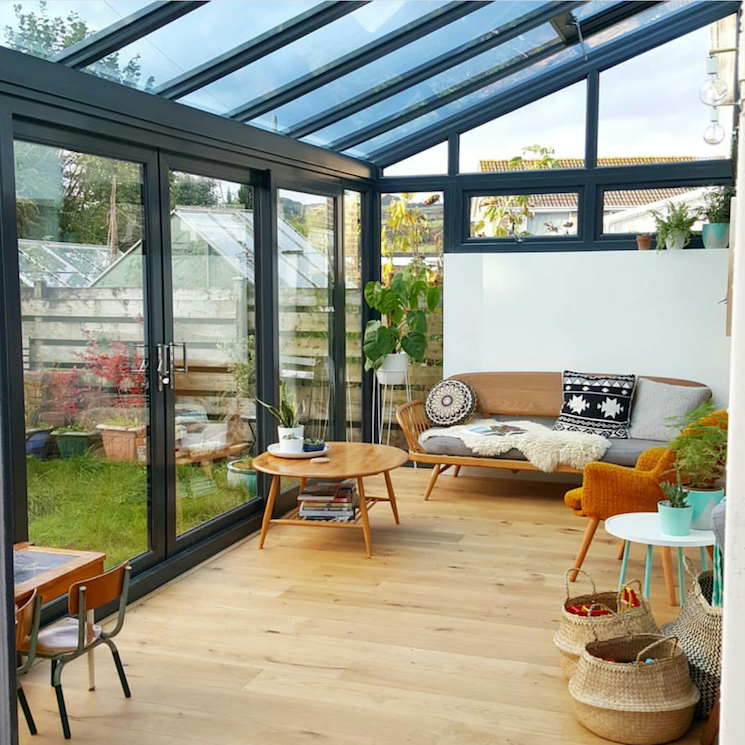 Lauretta’s a dab hand at achieving a designer look on budget, take a look at her post on 5 ways to get your house photo-ready, which are all easy to follow and totally inspiring. And if you’ve only got five minutes to make your house presentable – don’t fret – her emergency checklist will get you from shabby to chic easily. The main thing to remember? ‘Stop aiming for perfection. The lived-in look is much more homely, and it’s a lot more fashionable.’ Now that’s the kind of advice we like. Debbie’s kitchen redesign was a slog, but it was well worth it. Need a motivational nudge to continue with your redesign, redecoration or renovation? Check out Debbie’s experiences over on I Used to Shoot Blue Lizards. Honest and funny, Debbie’s DIY journey is often ‘frustrating, terrifying, expensive, exhausting and tedious’. It’s also ‘gin-fuelled’, as many of the best of us are. But it’s rewarding. Her cupboard of horrors turned into the ‘walk-in pantry of my dreams’, with the help of Pinterest, a builder, and a lot of determination. And the before and after pictures of her kitchen are energizing to say the least. Artemis’ shed is her haven. 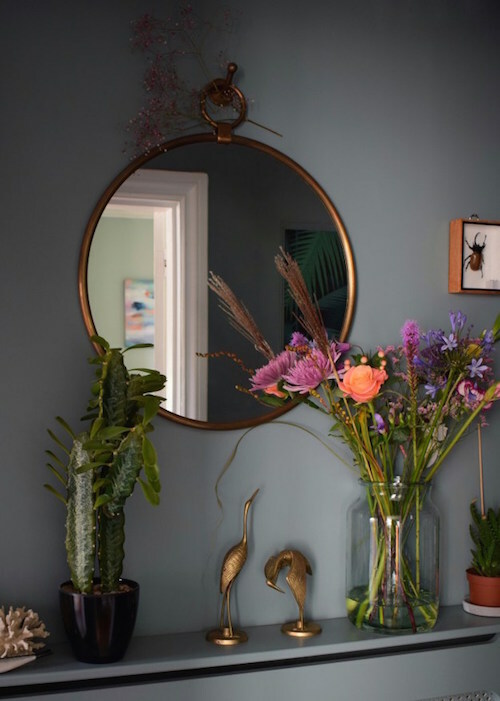 Just flicking through Artemis Russell’s blog, Junkaholique, is enough to refresh and revive any tired interior design fans out there. Her photos are beautiful. Still need convincing? With small children in the house, Artemis’ workshop shed is ‘like a haven... everything has a place and all is calm.’ It’s gorgeous, to boot. Sound good? ‘So I have a major crush on marble style wallpaper’, says Jen Stanbrook, award-winning blogger and moodboard lover. And after reading her post, you will too. Jen’s enthusiasm for interiors is pretty infectious. Her loft conversion had us running to pull down ladders and inspect what we’ve got going on up there. But that’s not to say the process was picture-perfect for her. ‘At times I felt I was going mad with the stresses and strains,’ says Jen, ‘BUT, it’s like giving birth and you soon forget the pain once you experience the reward.’ She passes all those rewards along to her readers. Case in point: her five crucial steps to convert your very own loft. Are your interior design ambitions hampered by pay day being miles off? Rock My Style’s Lauren Coleman – one of the talented people behind this inspiring blog – has 10 things under £10 to keep you sated. If you’re tackling a bigger project, RMS has a wealth of information and ideas to share. Remodelling your kitchen? 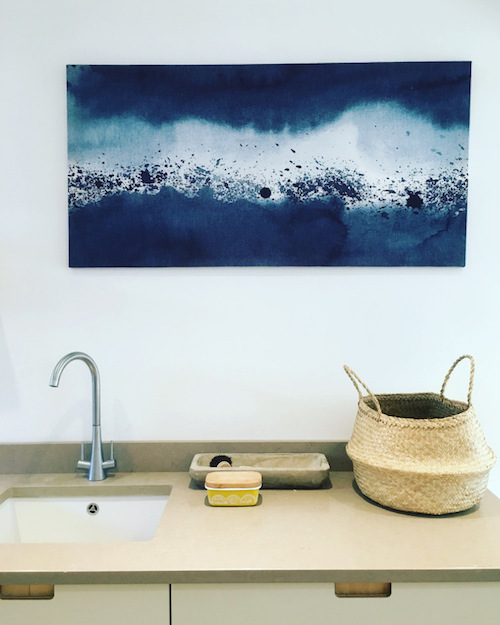 Lauren’s in the same boat and explores everything from the issue of rugs in the kitchen to how to paint kitchen cupboards in her posts. The trick to the latter? Do it yourself, with a mini roller. 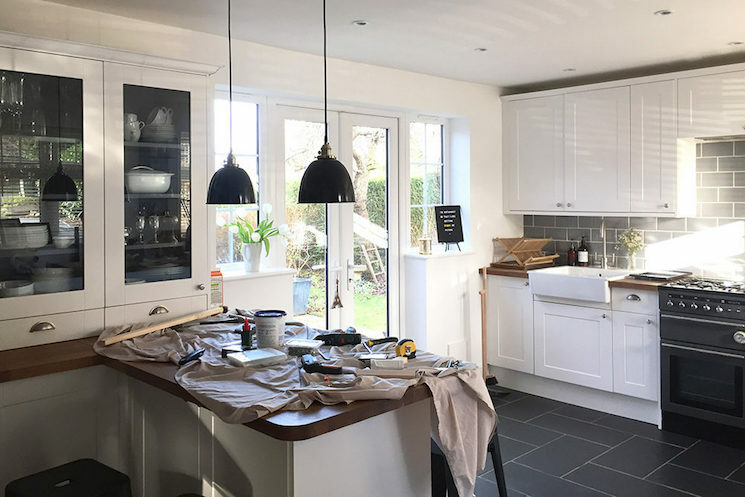 This saved her over £3,000 and gave her an immense sense of satisfaction: ‘I can’t explain how happy it makes me to see the sink match (rather than clash) with the cupboards.’ We get it. Karen and Joe’s 60-minute chair makeover is perfect for time-starved parents. Interior design inspiration appears in the strangest places. Bloggers Karen and Joe know that better than anyone – they found it at CBeebies Land. Their epiphany? There shouldn’t be a distinction between kids’ and adults’ interior design. The key is just to ‘embrace the chaos,’ says Karen. Their blog is all about their adventures owning and redecorating their first house, and building a family. As parents, time is precious so Karen and Joe have had to be creative about what kind of interior makeovers they can do. 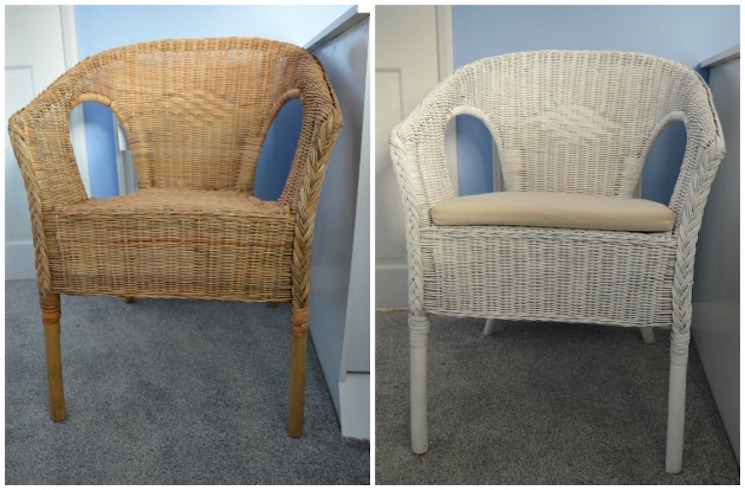 Spray-painting a wicker chair is one such project – heavy on the style, light on the time commitment. 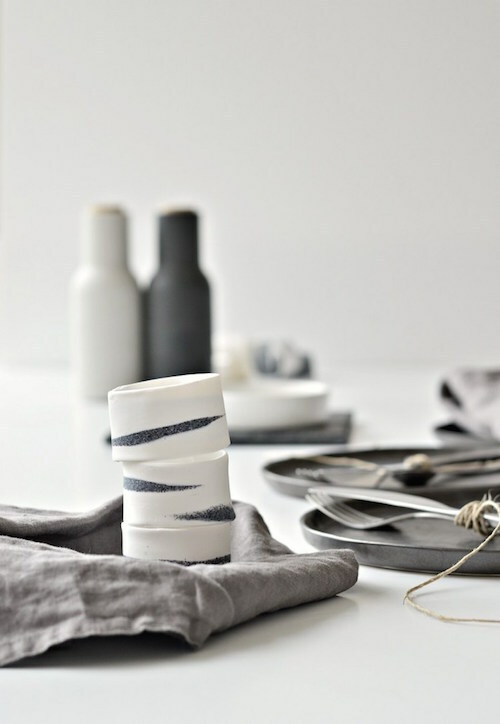 Your DIY Family has loads of creative ideas, like these napkin rings. Speaking of time-saving tasks, Your DIY Family has ideas that’ll take your house from drab to fab in just 10 minutes. Got a boring old towel rail? Follow Nomita’s example and spray-paint it copper. Or give your dining table a stylish spruce with some oh-so-chic DIY napkin rings – her handy tutorial helps you make them in mere minutes. Is your house bijou? Nomita suggests decorating in natural colours to maximise the space and investing in some oversized statement lighting. She’s got loads of other clever ideas you’ll love, especially if Scandi-style is your thing.